We are all about teaching people of all ages and skill levels about the many aspects of sewing. From your first threaded needle to experiences seamstress or entraprenuer, you will find a peer, mentor or sewing friend in our Chapter. Our offerings include Neighborhood Group, Chapter, Regional and National tutorials, demos, workshops, classes, trunk shows and tours. Whether for a few hours or up to several days, both adults and juniors can learn about sewing . Curious? Contact Us today and discover a sewing friend! We received an American Girl Doll donation this year and Abigail needed an awesome wardrobe with matching accessories and everything else that little girls need. We began our raffle ticket sales in September and the drawing was held during a special GALS, FASHION and FUN event in February 2017. 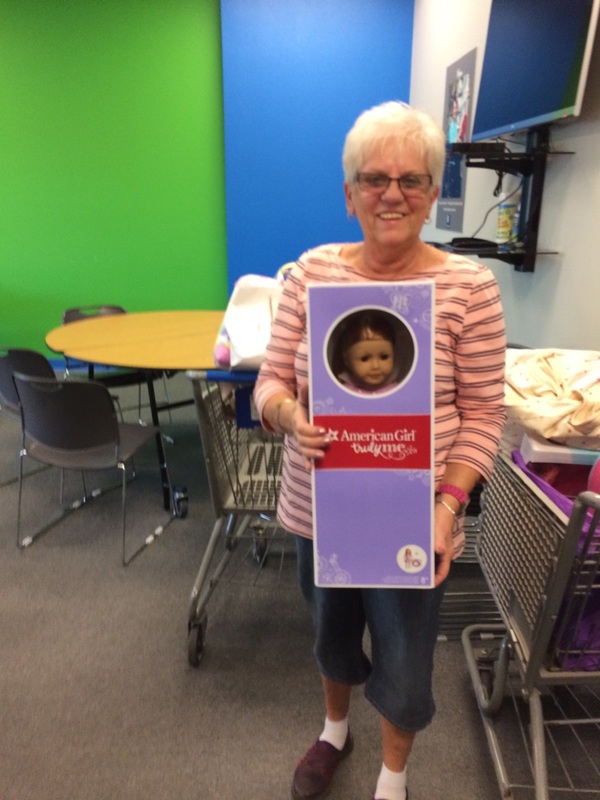 Our Winner for the 2017 Educational Raffle was Jolene M. She won our American Girl Doll, Abigail Sewphie Gusset (A.S.G.) and an outstanding wardrobe sewn by our members! The event was held at Marina Jacks in Sarasota on February 4, 2017. Not only did we raise money in our raffle but Teresa Werner of Premier Design Jewelry presented a line of jewelry with a percentage of all sales going directly to our Chapter. She also was the Commentator for our Member’s Fashion Show. 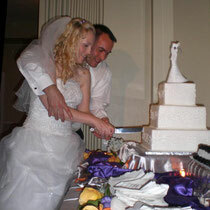 We all loved the day- sew much fun!! 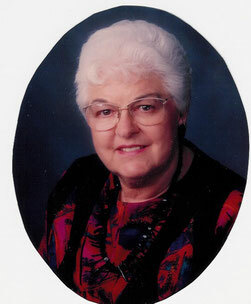 Ginny was a founding member of the Sarasota/Gulf Coast Chapter. She was a great teacher and friend who was sorely missed by the members who knew her. She was born Virginia Harrison in Hannibal, MO, joined the US Army and met her future husband, Herbert Jahnke, who served in the US Navy. 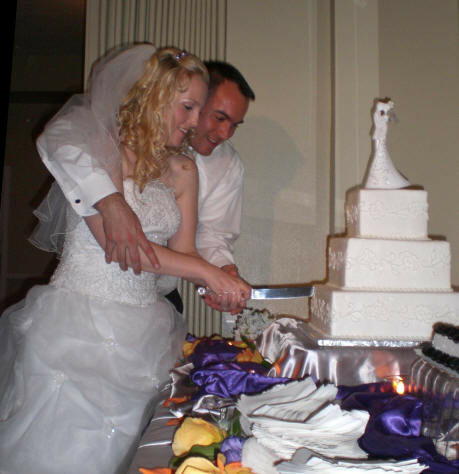 They eventually married and moved to Nokomis, FL. Ginny is buried near her husband in the Bay Pines National Cemetery. Ginny's family donated yards of material, accumulated books and numerous sewing notions to our Chapter. She also ensured we receive a portion of the proceeds from the sale of her co-authored book, "Appliqué Concepts in Sulky." Many of her donated items went into our library and stash; those remaining were prepared by members and their husbands for a special stash sale. The proceeds established our “Ginny Jahnke Educational Outreach Fund”. Unsold items were donated to the Boys and Girls Club of Manatee County and to St. Martha’s Church in Sarasota. In the years since Ginny's death in 1998, the monies from this fund have been used to supplement our Chapter's educational programs and to fund scholarships for young people pursuing a career path in sewing. 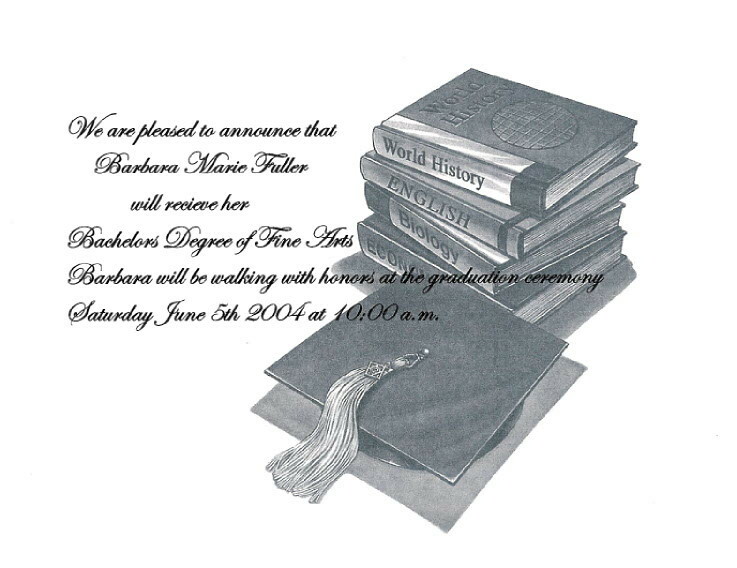 In November 2009, Marie Gartley chaired a fundraiser for our "Ginny Jahnke Educational Outreach Fund" which funded scholarships in sewing careers. The fundraiser was made possible by Helaine Eckstein who sewed up a very special bear, named "Teddi". He began life as a vintage mink cape given to our Chapter by a Pins & Needles member. He had 5 hard board joints, German glass eyes and a nose, and positional arms. 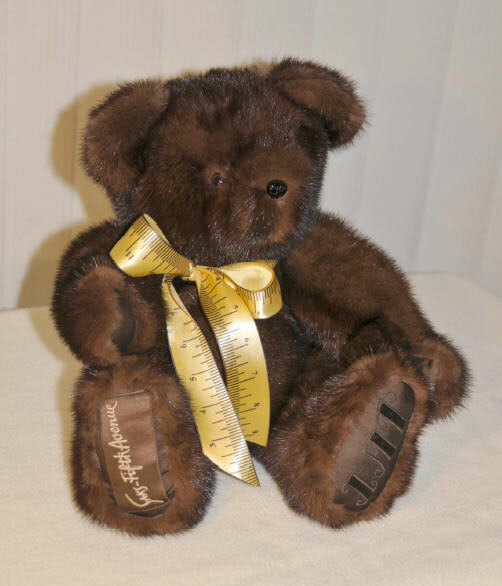 The Saks 5th Avenue label from the mink was sewn into Teddy's coat: the lovely velvet initials were covered up in the lining. Diane Kestner provided a home for Teddi during the time of donations being accepted for a chance to take Teddy to his/her "fur-ever home". The fundraiser captured $315.00 for our scholarship fund. The question is, "Who won Teddi"? A scholarship of $1000 was given to Amanda Newman of Sarasota, for her studies in Costume Designs and Art at Cornell College in Mount Vernon, Iowa. Amanda also received a scholarship from the Fine Arts Society of Sarasota. While a student she created costumes for the productions of “Anne Frank”, “Charlie Brown” and “Akarui” at the Historic Theater on her campus. She also has been crew chief for hair and makeup on “Arabian Nights” and "Reasons to be Pretty". For one of her classes, History of Theater Design, she did a presentation on William Ivey Long, a Broadway costume designer for: The Producers, Hairspray, Nine, Crazy for You, Grey Gardens, Young Frankenstein, Cinderella and Bullets Over Broadway. Amanda was awarded the New York City Internship by Mr. Long, a grant usually reserved for third year graduate students. 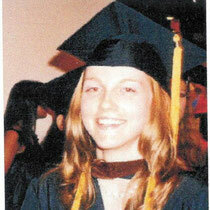 She is now finishing her Masters Of Fine Arts Degree at the University of Cincinnati, College-Conservatory of Music. 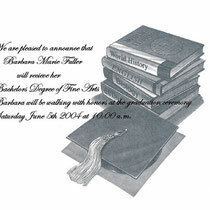 This Spring, 2008, the CAB received an inquiry about our scholarship from a young lady with an interesting resume. We visited the Costume Department at the Asolo Theater on June 28th and Dave Covack, Costume Director, introduced us to one of his associates, Amanda Newman. Surprise! She was our applicant. Some of you met and talked to her. She is very charming. At the July CAB meeting, Amanda showed us her portfolio- some hats that she had designed and made and a dress she had recently made from an 1940’s pattern. She had enlarged the pattern and sewn it from bias-cut material. It was a fabulous summer dress! The CAB decided to give Amanda Newman, of Sarasota, a $1000 scholarship for her sophomore year (2008 - 2009) at Cornel College in Mount Vernon, Iowa. Amanda has a lot of energy, talent and drive. Her goal is to be a costume designer on Broadway. She hopes to get to New York this fall when the Broadway play, “Tale of Two Cities” opens this September. The reason? Amanda is the person you designed and sewed the pants for the characters while working at the Asolo in the summer of 2007. 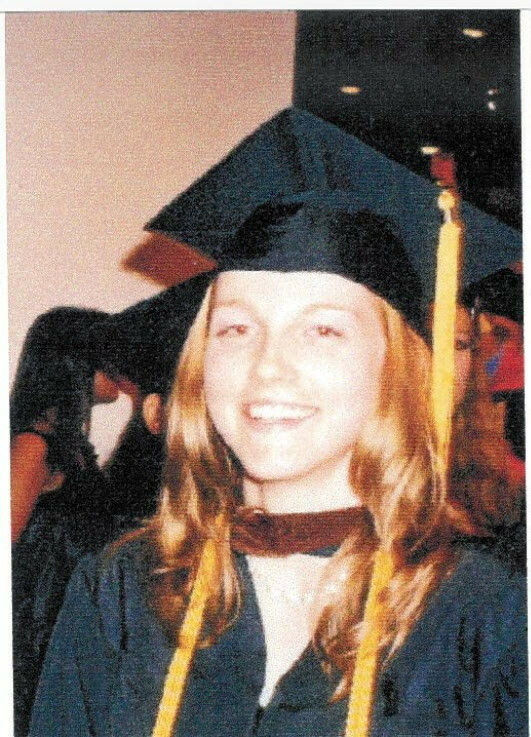 In 2005, Marie Gartley reported that we had six girls from Sarasota county high schools apply for the Ginny Jahnke Educational Outreach Fund offered by the Sarasota/ Gulf Coast Chapter of ASG. The committee selected Savanah “Sally” Perry from Venice. Sally graduated from Venice High School on May 20th and will be studying Fashion and Interior Design at Florida State. She already sews for herself, family and friends. She is hoping her schedule will allow her to attend our Annual Meeting where she can meet everyone. Barb Fuller was our first scholarship recipient. She is the daughter of member, Mary Jane Fuller and granddaughter of member Marie Gartley. Below is a Thank You written to us from Barb. It’s hard to imagine that I’ve only had my B.A. in Fashion for three years. Life has been fast paced and full of things to teach and challenge me. I am still currently employed with Speedline Athletic Wear as the sole pattern drafter/maker. Speedline has been an established uniform manufacturer since 1936. They are considered an in house company, meaning they do everything in one building, the product is 100% American made. I’ve learned/learning so much about manufacturing, production, and pattern making in general. The job continues to show me new ways of creating patterns, and solidifies in my mind that I was born to be a pattern drafter. Recently, I’ve been getting my feet wet with freelancing. Freelancing is definitely a direction I see myself going in the future. My current project is quite exciting. It’s a revolutionary idea for children’s sportswear, for an up and coming product line called Skateboy. I can’t go into much detail because its top secret! I've never been part of a project so hush-hush that I needed to sign a confidentiality waiver. I really can’t wait to see it on the shelves in the near future! 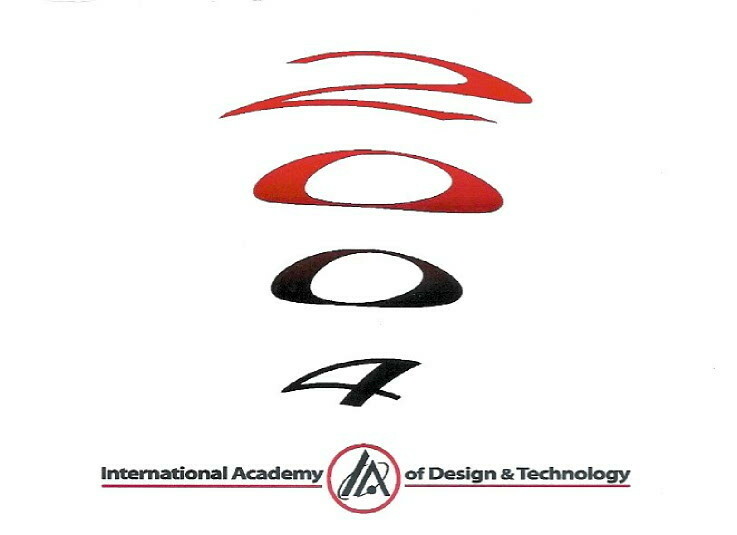 Now, for the juicy news, I've become a teacher at the International Academy of Design and Technology! This is the same school I received my degree from! Being asked to teach is one of the biggest compliments anyone could have paid me. I find teaching to be just as challenging as it is rewarding. Being a professor, I am responsible for sharing my knowledge of the Gerber Cad System with students who have never used any sort of program like this before .Its amazing to realize that I teach the same system I fell in love with while I was still a student. The Gerber Cad System (as we call it in the industry) is the combination of two very interesting programs. The first of the two is Accumark Explorer. This program allows someone like myself to organize all the patterns that I work on in a nice little machine that sits neatly on my desk, my computer (boy how I love my computer!!!). Imagine never having to sort through drawers of paper patterns again, never having to wish that you ‘d saved that one piece or that one size. The beauty about this system…it keeps it all in place for you! I’ve become so spoiled. Now, in addition to Accumark Explorer (the Queen of organization! ), there is the “sister program” known as Pattern Design Silhouette, or as we call it, PDS. This program allows one to digitally/electronically create and modify patterns. It even allows you to import pre-existing patterns you may already have on paper, for example, into the system. With these two systems, I am able to keep track of and modify over seventy years of patterns! Although my life is still moving forward, I still can’t get over how far I’ve come and how much I have grown. It can’t go without being said that I am very thankful to all of you for the honor of the scholarship, the enrichment of your wisdom, and the thoughtfulness of your support. 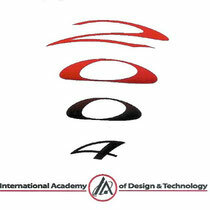 I often smile to myself when I think back to my four years at the Academy and realize how lucky I was. Not only was I blessed to have a Grandmother and a Mother to go to for advice, but unlike most of my classmates, I had the ASG to back me up. I lucked out, hands down.